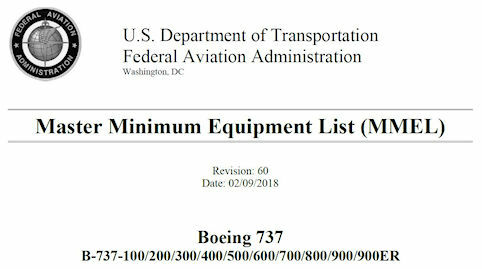 On 9 Feb 2018 the FAA issued Revision Number 60 of the 737 MMEL. This page is a non-exhaustive list of the changes from V59. Item 12-01 Wing-Body Overheat Detector System - Separated item applicable to -100 thru -800 airplanes due to smoke removal requirements on -900/-900ER airplanes and added proviso e) for flight altitude restriction. e) Flight altitude remains at or below FL 250.
g) Airport ambient temperature does not exceed 103 degrees F (39 degrees C). Item 36-01-04 Navigation Databases - Revised provisos per Policy Letter (PL) 98, Revision 1.
e) It is repaired within 10 flight days. NOTE: An out-of-currency or out-of-date navigation database is not authorized MMEL relief per 14 CFR. Item 06 Dual Bleed Light System - Revised proviso verifying APU bleed valve in closed position. 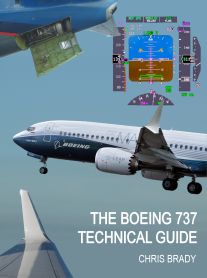 b) APU bleed valve is verified closed before each departure.